LACSON – Sen. Panfilo Lacson recently found out in the proposal of the national 2019 budget that two lawmakers receive more than ₱1 billion through pork. On Monday evening (December 3) according to him, two members from the House of Representatives have been receiving at about ₱1.5 billion each from extra funding simply for their pet projects in the proposed national 2019 budget amounting to ₱3.8 trillion. The two members were given funds, which is way more than the promised ₱60 million from Speaker Gloria Macapagal-Arroyo, who will give to each of the 292 district and party-list representatives. A report in Inquirer states that Lacson saw something when he checked the initial perusal of the appropriations bill: One congressman received ₱1.5 billion; while another congresswoman received ₱1.6 billion. He further clarified that he will not reveal the names of the two members but he was prepared to identify them at the Senate’s plenary debate on the general appropriations bill, which is scheduled this week. As per the report, in reference to the original proposal of the Department of Budget and Management, the senator’s reason of revealing the names is because all that will come out during interpellation will just to prove his point that the two members touched the national expenditure program. 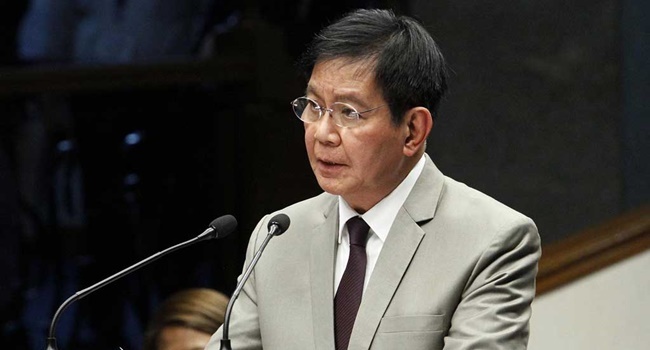 Lacson, along with the Senate were in a rush to ratify the budget measure before year-end in order to prevent the reenactment of current appropriations. Some senators were worried that there will be no enough time to properly inspect the bill for last-minute insertions and amendments by the House. As said by Lacson, they might have to skip lunch, restroom breaks, and other activities in order to achieve that goal.